Need a snack idea for the week? Eating well is extremely important to keep you at your best while keeping up with the challenges (and surprises) that each day brings with it. 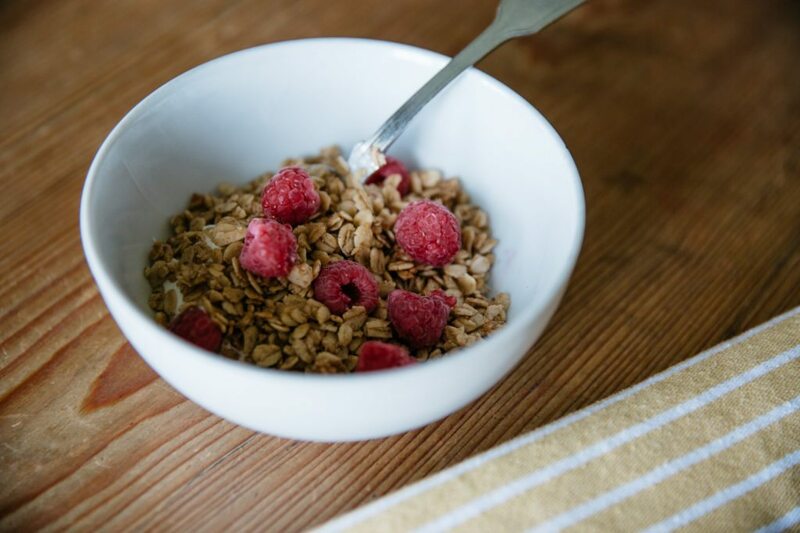 Try this granola mix from our Quick and Fresh food series! It’s nutritious, tasty, and great for bagging up on-the-go. While we always recommend eating a good meal, when your days are full, it’s important that you make sure you keep your body fueled so it is most effective. This granola mix is great when you are out and about and need a snack between mealtimes to give you that extra boost to keep going. How do you and your family stay fed during the week? Send us a note; we’d love to know. Mix Oats and Walnuts in a large bowl. 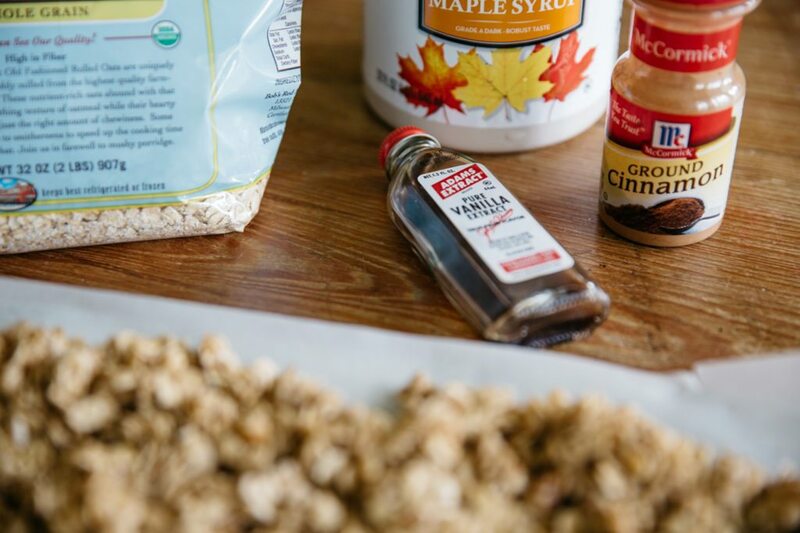 Place Oil, Vanilla, Almond Extract, Syrup, and Cinnamon in a separate bowl and mix thoroughly. Mix and blend both bowls together. Spread mix onto wax cooking paper if you have it and lay the sheet on a baking pan. 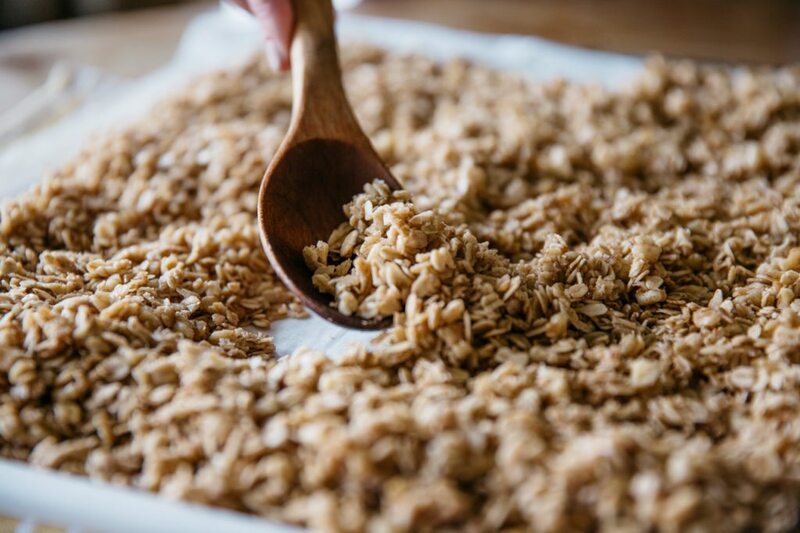 Bake granola for 30 minutes at 300 degrees Fahrenheit rotating the granola every 15 minutes. Serve it warm with yogurt and berries for breakfast or even bag it with you if you have a busy day ahead!